Monster Jam Returns to Crush Through Petco Park! Celebrating 25 years of car-crushing, dirt-flying action, the infamous 2,000 horsepower engines are revving up again and ready to roar full throttle back into SoCal as Monster Jam(r), the most adrenaline charged motorsports experience for families on the planet, returns to San Diego for two high-octane weekend events at Petco Park on Saturday, February 18th. 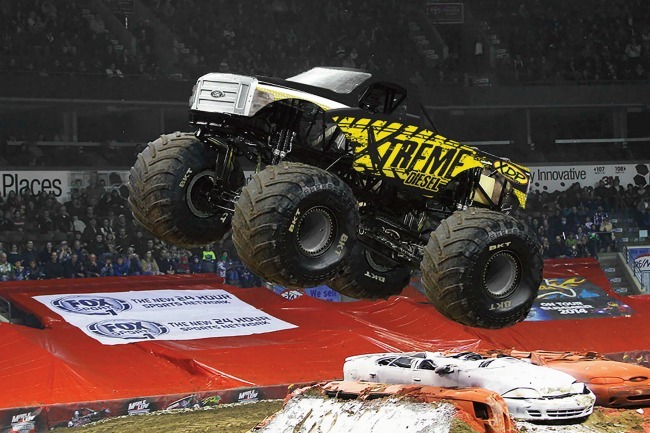 Fans will witness the world’s best monster trucks battle it out in the ultimate event of intense speed, racing, freestyle stunts and demolition with a massive collection of 10,000 lb. metal beasts, including several World Finals champion powerhouses Grave Digger(r), Max D(tm), El Toro Loco(r), Metal Mulisha and Bounty Hunter; plus the San Diego debut truck appearances of the Soldier Fortune(tm) Black Ops, Alien Invasion(tm), Storm Damage, Hurricane Force and more. Plus 2017 marks the most ever female professional drivers assembled in the history of Monster Jam – with four female drivers (including the youngest female driver ever 19-year old Rosalee Ramer) competing for the San Diego champion title! In addition to the world-class racing and freestyle competition action, die-hard fans can come to the stadium early on Saturday to enjoy the Monster Jam Pit Party pre-show experience (located in the Lexus Lot) – which gives fans unparalleled access to view their favorite trucks up-close, meet the star drivers for autograph and take photos! Pit Passes available to purchase for $10 each – FREE Pit Passes can be picked up at participating San Diego County Ford Dealers starting late December (while supplies last). Tickets now on sale – all seats are reserved; Tickets & Pit Passes are available for purchase online at Tickets.com, charge by phone at 619-795-5555 or in-person at the Petco Park Box Office. Follow Monster Jam on Facebook, Twitter and Instagram to join in on the fun! For specific information on the San Diego events go HERE! 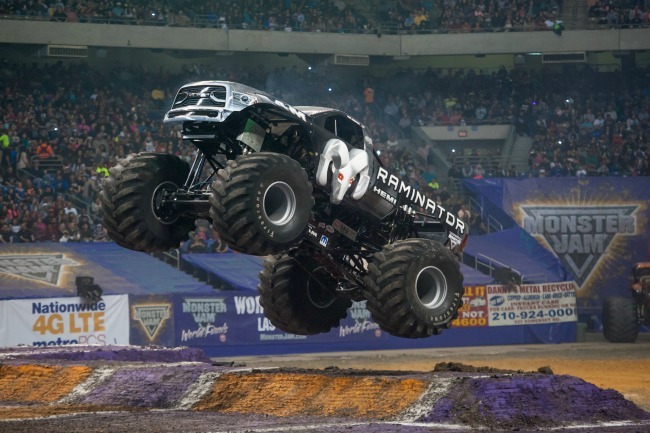 Who are you excited to see at Monster Jam?